Going to college in New York City, there is often pressure to look fashionable for your 8 a.m. classes and around the dining halls. 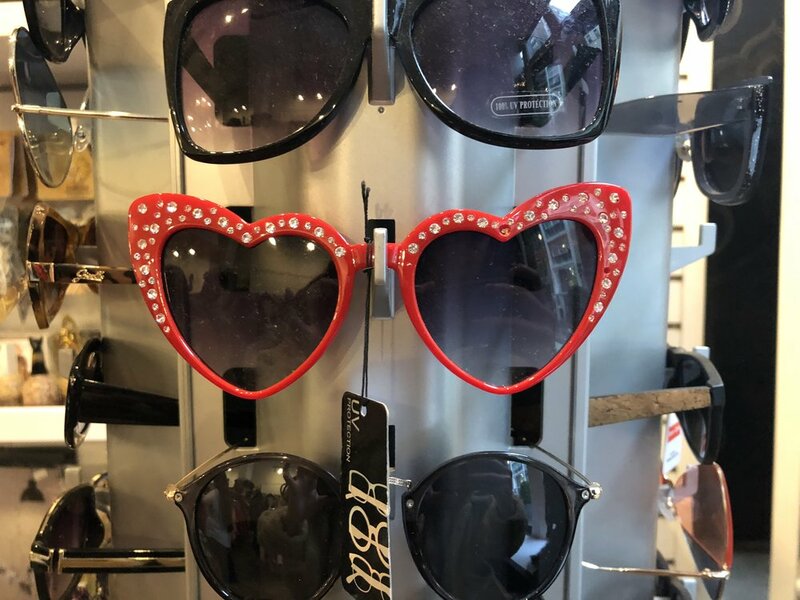 Luckily for NYU students, our campus is right next to SoHo where the streets are lined with boutiques offering trendy pieces.Yet, the latest fashion finds can sometimes only be discovered in shops offering vintage pieces. If you’re looking to update your wardrobe and stay on trend this fall, check out one of these hidden gems. Cure Thrift Shop was named one of the “Top 50 NYC Stores of All Time” by Time Out New York. Photo: Samantha Coulter. Stepping into this one of a kind shop can transport you to a simpler time. “Rockin’ Robin” plays in the background as you explore the plentiful racks of this two floor stop. The walls are lined with designer scarves, handbags and shoes while the center of the store displays well-organized stands of jackets, pants, dresses and even workout clothes. While most New Yorkers love this store for the nostalgia it inspires, an even greater reason to shop here is that all of its proceeds are donated to research and advocacy for Type 1 Diabetes. Some of Metropolis Vintage’s most famous customers include Kendall Jenner, Zoe Kravitz and Sky Ferreira. Photo: Samantha Coulter. One of the most essential pieces in every it-girl’s wardrobe is the vintage band tee. Metropolis Vintage has one of the largest and most varied collections in the city. From Nirvana to Metallica to the Beatles, this shop features dozens of shirts from dozens of bands. Prices range from around $35-$75, with the average tee ringing in at $45. On the outskirts of the store, you can also find vintage Levi jeans, military jackets and sports jerseys. Make sure to follow their Instagram account if you want to be updated on their latest finds. AuH2O has the cutest and most affordable pieces to keep you warm throughout the fall. Photo: Samantha Coulter. Started by NYU graduate Kate Goldwater in 2006, this sweet shop features a highly curated selection of trendy, contemporary pieces from fashion lover favorites such as Topshop and Zara as well as vintage pieces from designer and older brands. Since this shop is on the smaller side, it’s easy to search through the entire stock and ensure you find the absolute best items for sale. It’s also extremely affordable, with an an entire rack featuring clothes for under $10! Beacon’s Closet is perfect for finding unconventional pieces like these sunglasses. Photo: Samantha Coulter. Beacon’s Closet, perhaps the best-known shop on the list, is constantly frequented by college students hunting for discounted designer pieces and lightly used clothes from earlier decades. Although this store is on the larger side, it is packed with clothing racks and filled with shoppers sifting through them. This store is on the more expensive side due to its popularity, but its generous selling and trading policy can help offset the extra cost of their items. Beacon’s Closet pays sellers either 35% cash or gives them 55% store credit of the valued price of their items. You can stop by any time they are open to sell or trade your items. Vintage Thrift has the best selection of vintage handbags. Photo: Samantha Coulter. If you’re looking for a higher-end vintage shop that restocks every single day, then this is the place for you. This shop boasts a collection of vintage designer pieces dating all the way back to the 1950’s and features items from every decade since. Just this week, I discovered Miu Miu heels, a YSL Jacket and a purple, velvet dress from the 90’s. It also sells vintage records and art prints, as well as furniture and houseware. Plus, it’s the perfect stop for Gramercy Green residents looking for a shop where they can pop in on their way back from a study session at Bobst or brunch at Palladium.